Provide all information below and you will be contacted within 24 hours by phone (with a detailed quotation), for a VISA or MASTERCARD number and to confirm the order. 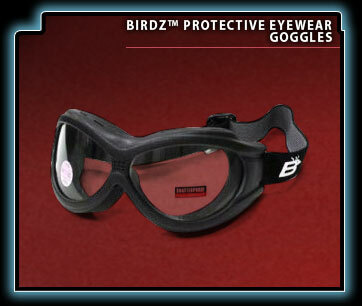 Purchase Orders accepted for Law Enforcement, Corrections, and Military customers only. North American pricing only. Contact Shocknife Inc. for International Pricing Inquiries & Distribution. 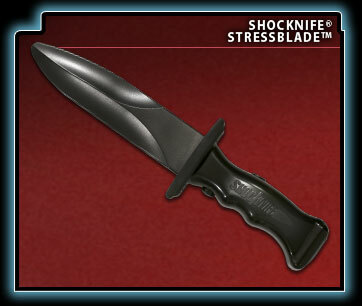 For US Federal Government agencies Click Here and enter "shocknife" in the Search field for GSA pricing. 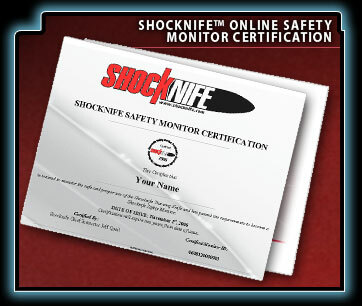 The online Shocknife Safety Monitor Certification is valid for a period of two years from date of issue. The re-certification will review the important details for any Instructor on ensuring that Shocknife products are being used in the safest manner possible. The re-certification will be valid an additional two years from date of issue. Free dark lenses to simulate low light conditions! 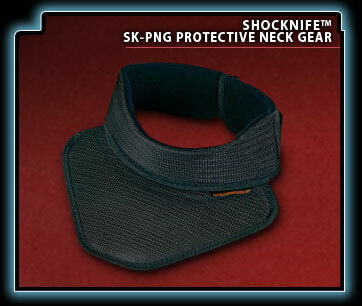 • Neck Guard is produced of high-strength textile. 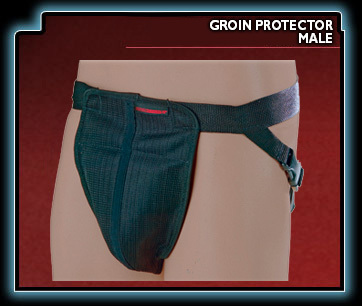 Designed for external wear, FX� 9000 groin protectors are made of high-strength textile and feature three adjustable straps. Available in black. You must be 18 years or older. By purchasing, you are agreeing that you are 18 years of age. 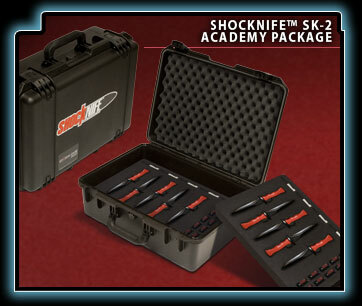 Should you provide access to someone who is not 18 years of age, Shocknife Inc. will not be held responsible. It is the responsibility of buyers to check state, national, and local laws regarding Shocknife products. The customer is responsible for complete awareness of rules and regulations particular to their country regarding Shocknife products. Shocknife Inc. will co-operate with customs and is not responsible for customs seizures. * Shipping/Handling/Brokerage fees not included in posted prices. 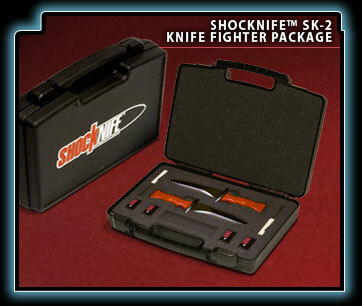 ** Shocknife products are duty free as specified in the North American Free Trade Agreement (NAFTA). *** State taxes are not invoiced or collected by Shocknife Inc.
****European Customs Charges vary with each country. The buyer is solely responsible for payment of this fee to his/her own country. 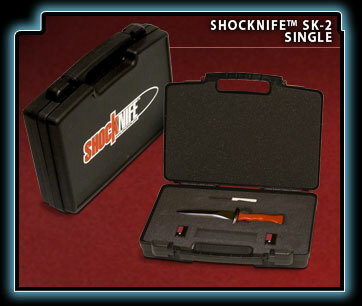 Shocknife Inc. accepts checks, purchase orders, VISA or Mastercard payments. *T-Shirt orders are VISA or Mastercard only. 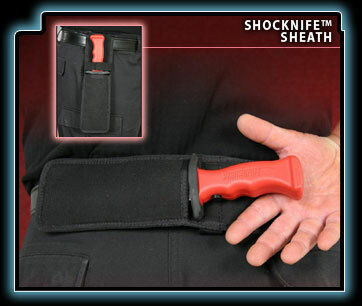 Check here to be notified of new RBT products and Instructor level course dates from Shocknife®, Setcan®, & StressVest®.